TOYOTA CITY, Japan (June 11, 2013) - Toyota Motor Corporation (TMC) is to display a sporty, open-top family-oriented concept in the Kids Life Zone at the International Tokyo Toy Show 2013, which runs from June 13 through June 16 at Tokyo Big Sight in Koto Ward, Tokyo. 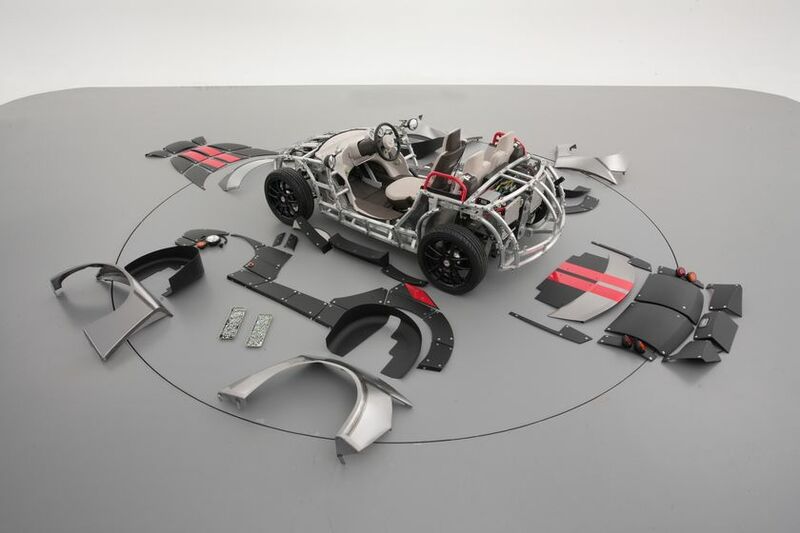 The concept, called the "Camatte57s," is aimed at bringing parents and children closer together as they work in collaboration on building their ideal car. 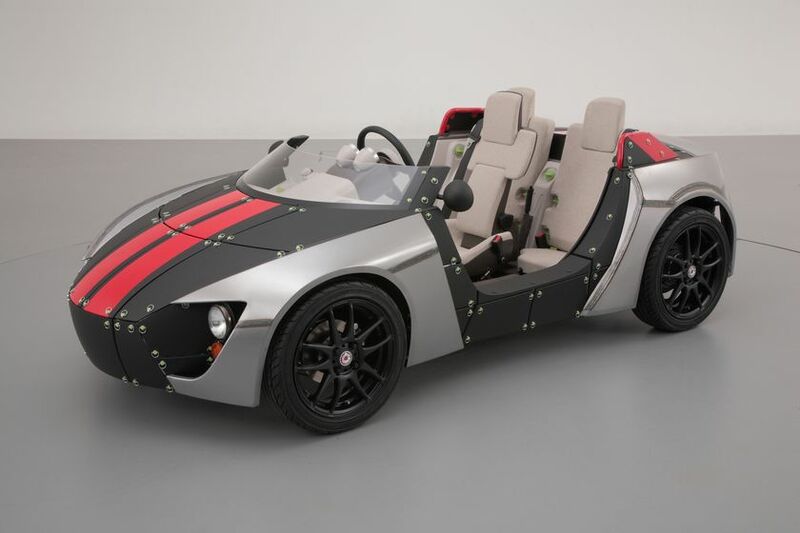 The vehicle aims to convey the joy and dreams of motor vehicles to current and future drivers, by providing an opportunity for parents and children to together experience the fun of driving, car customization and car enthusiasm. 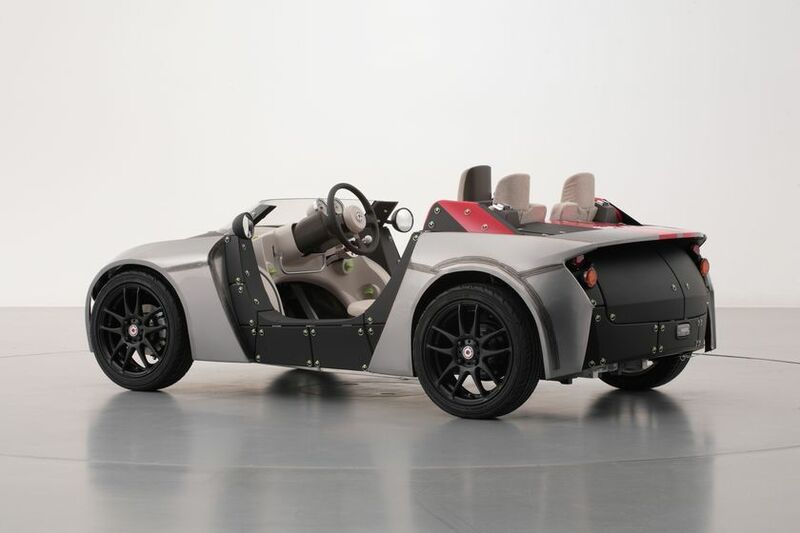 Compared to the "Camatte" concept exhibited in 2012, the Camatte57s allows an even greater ease and range of customization possibilities. The vehicle body exterior consists of 57 detachable small lightweight panels to allow easy and extensive color and design customization. The roofless design offers a liberating driving experience while also enhancing visibility to increase ease of customization. Seats are in a closely arranged triangular configuration with one front seat and two rear seats to emphasize family intimacy and facilitate communication. 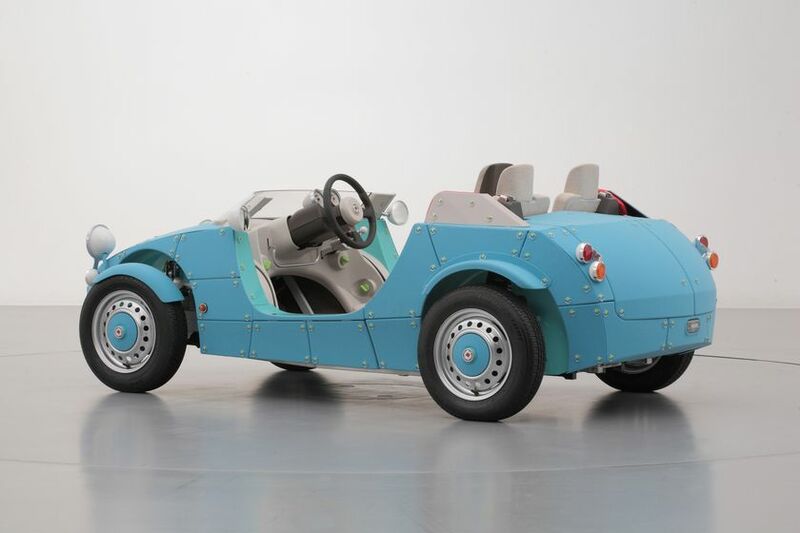 Acceleration and braking pedals and seats can be adjusted to enable operation by children, while an adult seated in the rear-right seat assists steering and braking to help develop the child's driving skills. Note: The name Camatte is based on the Japanese word for care and is meant to signify "caring for others" and "caring for cars." The "s" stands for the Japanese word sawaru, which means to touch. The name thus reflects the idea that people should feel more in touch with each other and with vehicles.